It is a credit card with Low APR and good balance transfer options. You won't pay for this card yearly. 9.25% APR for cash advance, purchase and balance transfer is very good. You will not pay extra fees to cash advances, balance transfers, foreign transactions. This card is not perfect for those who wants rewards and bonuses from the card. There is not good promotions in the card. 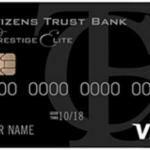 Visa Prestige Elite Credit Card has the lowest interest rate credit card in Citizens Trust Bank. The card is providing 9.25% APR for cash advance, balance transfer and purchase. 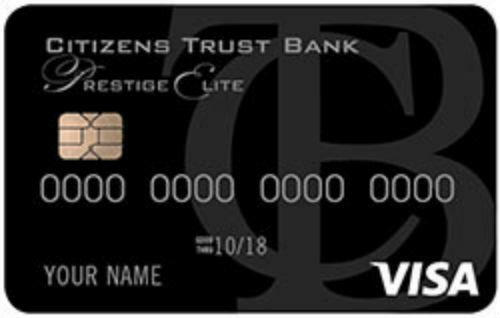 You don’t need to pay extra percentages for cash advances, balance transfers and foreign transactions with Citizens Trust Bank Visa Prestige Elite Credit Card. You will only pay $1.5 for cash advances. There is also no annual fee for the card. The card is providing many good adventures for consumers. However there is not rewards points for this card and you are not going to earn any bonus. If you would like to have a rewards cards, you will need to take a look at alternative options. If you would like to get rewards card from the same bank, you can take a look at Citizens Trust Bank Visa Classic ATL Credit Card.